We see a few innkeepers already jumping on the Google+ bandwagon, but we must offer a CAUTION. Before you try to sign up your business for Google+, remember back to the early days of Facebook. We want to make sure everyone does this the right way. And at the moment, Google is saying that they are currently only targeting private persons, as features for business pages are still in the works. They had offered a limited beta test for businesses, but that has now been closed. 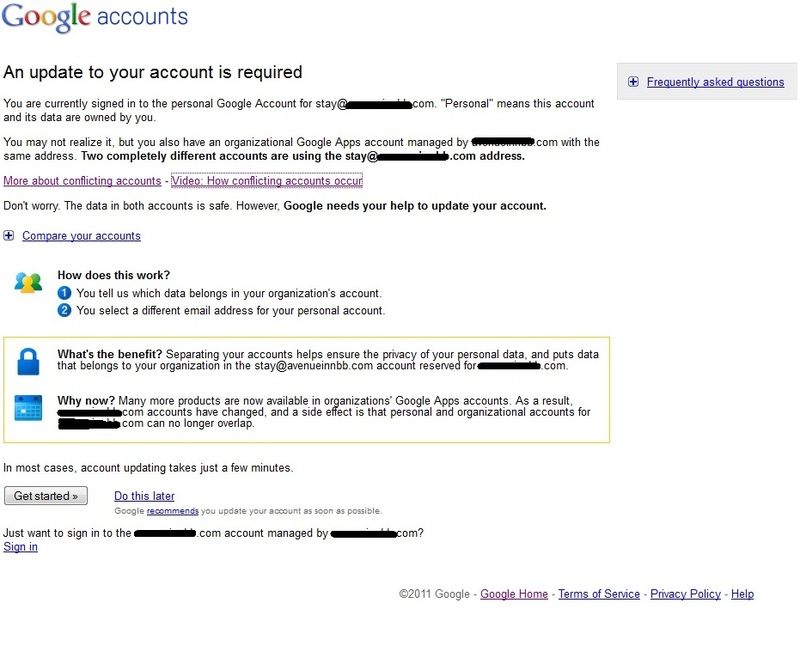 So — When you sign up for Google+ you need to do so as an individual. When they release how they want businesses using Google+ we will be the first to share that information with you. Don’t have a clue what the Google+ project is? Take the Tour! 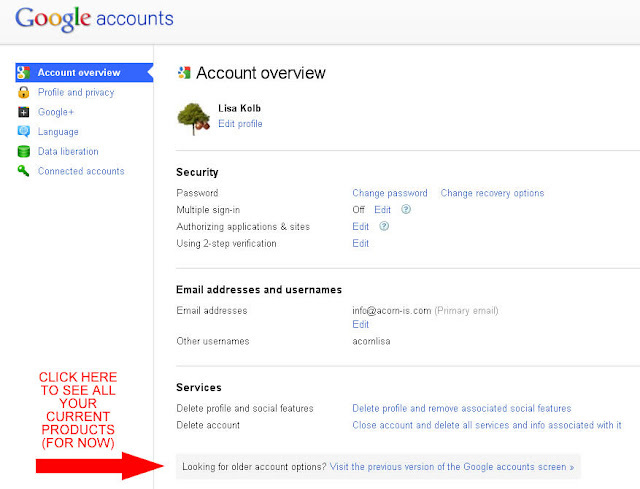 And do note, if you do sign up for Google+ your overall Google Account Settings will change slightly. We have yet to find a place in the new Google+ screens where they will continue to store all of your Products in one place. We might venture to speculate that the products might be related to the pending Business side of Google+, but at the moment we are in wait-and-see mode (see below the account overview graphic). Google Products include, but are not limited to: Google Analytics, Places, Alerts, Webmaster Tools, Blogger, AdWords, Docs, Calendars, Maps and so on. So for now, if you do sign up for Google+ and want to find your existing Products, you do so by clicking on the “Looking for older account options? 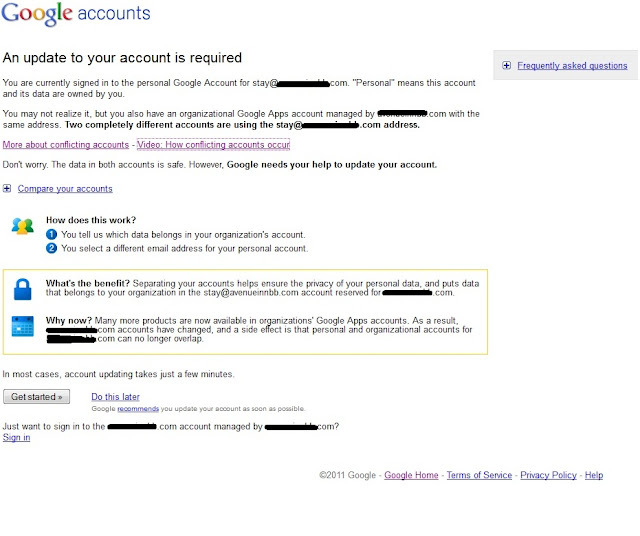 Visit the previous version of the Google Account Screen >>” See the screen snapshot below. As technology continues to change, we are committed to helping our industry use these new advances to better their own online businesses!